The Committee on Economic and Monetary Affairs (ECON) in the European Parliament approved the package of 6 legislative proposals on the enhanced economic governance of the EU. 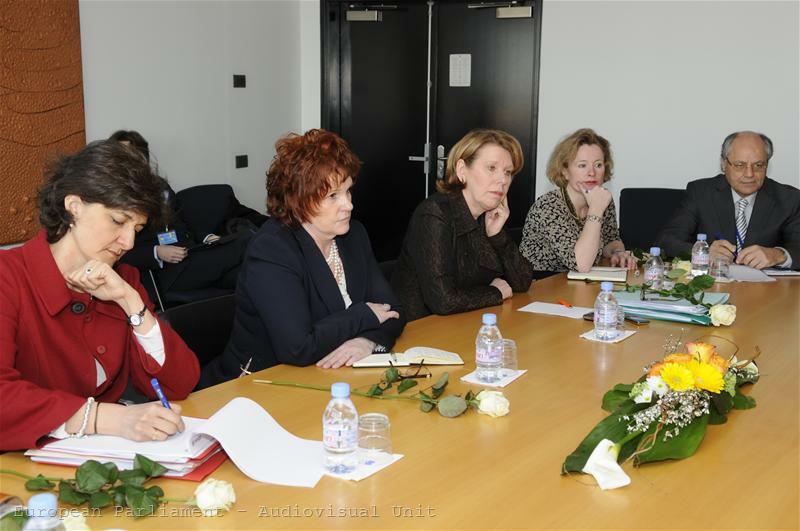 On some of the key issues, however, the MEPs proved to be divided and the items have been passed without the support of the Socialists and the Greens. Nevertheless, the ECON committee decided to start negotiations with the Hungarian presidency, so that a final approval of the texts is achieved in June, as planned. 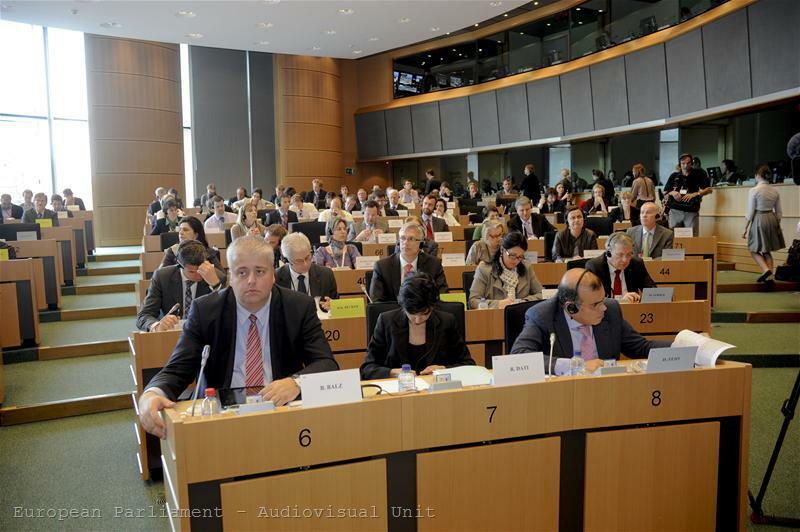 After the vote, the parliamentary rapporteurs, who worked on the 6 proposals of the European Commission, expressed disappointment with the lack of unity in the committee, despite their hard work together. The vote on the reports, with about 2000 amendments proposed, continued four hours, which delayed the press conference of the rapporteurs with an hour and a half. Because of the late hour and the long delay only a Hungarian journalist was left present in the hall. The rapporteurs, however, were reluctant to comment on the controversial issues before the vote on Wednesday morning (April 20), when the Committee decided to start negotiations with the Hungarian presidency after all. What does the package on economic governance include? 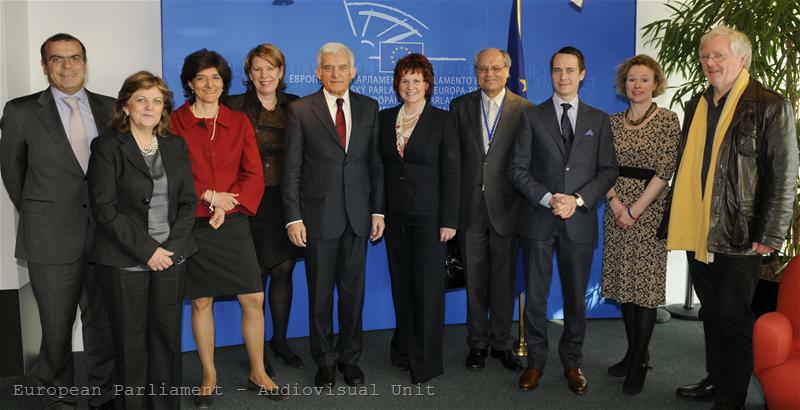 As euinside repeatedly wrote, the proposals of the European Commission from September 30 2010 include a reform of the Stability and Growth Pact with increased emphasis on debt, completing the excessive deficit procedure with a similar procedure on excessive indebtedness, strengthening of sanctions at an earlier stage and the establishment of macroeconomic surveillance for early detection of potential imbalances. Two of the proposals are entirely directed at strengthening the financial and macroeconomic stability of the euro area and determine the order of proceedings and financial penalties on countries that do not comply with the required discipline. Overall, the amendments adopted by the European Parliament, aim at strengthening the European Commission's role, at more transparent decision making process, increased penalties and limited possibility for political horse trading between the Member States mostly through the reverse majority voting rule in the Council. This means the Commission’s proposals on every stage of the procedure will be considered approved unless they are not rejected by the Council with a qualified majority. The report of Corien Wortmann-Kool's (EPP, the Netherlands) on the strengthening of the surveillance of budgetary positions and the surveillance and coordination of economic policies proved the most difficult to swallow by the Socialists and Greens. From the party statements and the official press release of the EP after the vote, it appears that the dividing line runs along the edge of balance between austerity and investments. Ultimately, the approved texts say that the Commission should combine more stringent sanctions for "irresponsible" spending with taking more into account of "good" spending when judging a country's reforms efforts. "On the Corien's report we had a split vote into left and right as Socialists and Greens voted against. 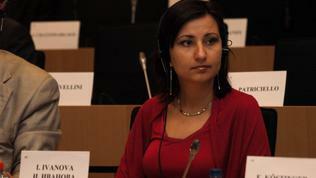 We are very disappointed with the final outcome of the vote,” Elisa Ferreira (PASD, Portugal) commented. Greens's shadow rapporteur Philippe Lamberts (Greens/EFA, Belgium) said: "The so-called reinforcement of the Stability and Growth Pact targets public expenditure rather than the sustainability of public finances, which is the wrong approach to take. The failure of EU governments to deliver any measures that would enable revenues to be raised through fair and effective taxation resources, means that there will be no alternative to austerity in order to balance government budgets. This will hit the most vulnerable the hardest." 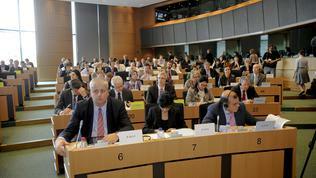 The explanatory statement of Corien Wortmann-Kool's report stressed that the purpose of the amendments was to strengthen the Community method by strengthening the role of the European Parliament in the process of economic governance and to give more independence to the Commission from the Council. At the same time it emphasized the need for national ownership and the role of national parliaments. Ms Elisa Ferreira, who is a rapporteur on the proposal for regulation on the prevention and correction of macroeconomic imbalances, commented that she was satisfied with the broad support her report received during the vote. We didn't achieve everything, but we achieved enough, she summarised. The main idea of the regulation is the European Commission to conduct macroeconomic surveillance over the Member States through a scoreboard of indicators in three main sectors of the economy: goods and services, employment, and capital. The Commission must set lower or upper thresholds for individual indicators while, according to the report of Ms Ferreira, “the same thresholds shall be applicable to Member States whose currency is the euro and to Member States whose currency is not the euro”. 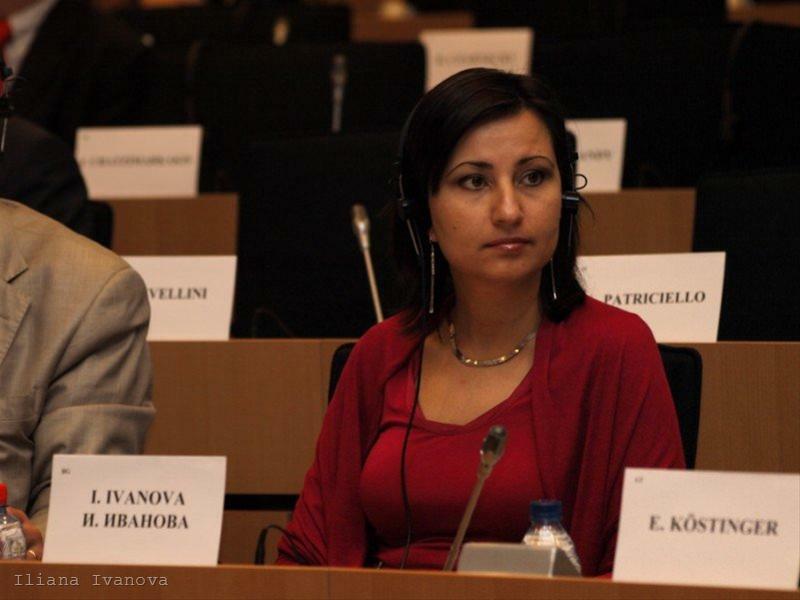 However, after a proposal of Bulgarian MEP Iliana Ivanova (EPP, GERB) the text has been amended with the argument that different macro-economic performances of euro area Member States and non euro area Member States requires the introduction of different critical values of the indicators. "I am happy that my colleagues in the EPP supported me and the voice of new member states was heard when taking such an important decision," Ms Ivanova said after the vote. According to her, the catching up process is an important element, which must be taken into account when analyzing the indicators. This position has been repeatedly stated by Bulgaria. 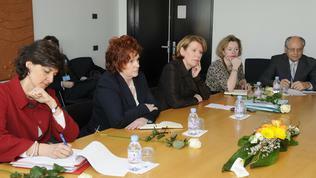 The specific list of indicators is to be discussed with the Council. In general, they will reflect the internal imbalances like indebtedness (public and private), unemployment, asset price development with particular attention on real estate and financial markets; and the external imbalances, including current account composition, balance and evolution etc. 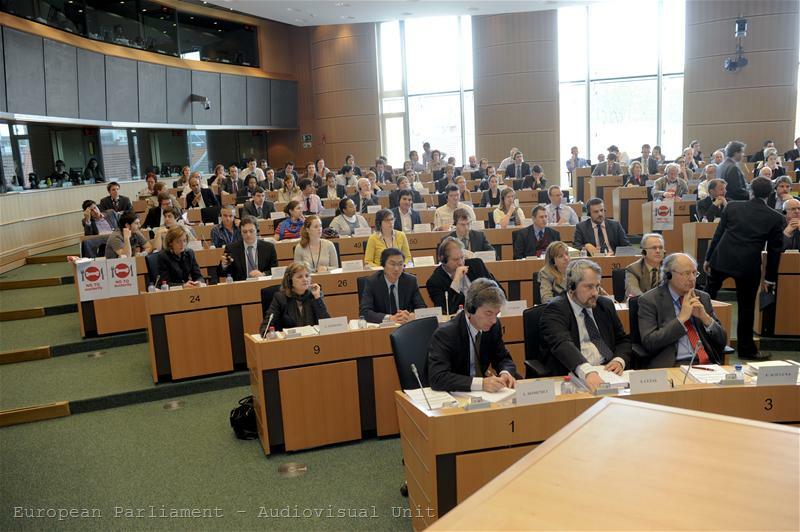 The amendments made by Parliament ensure that the scoreboard indicators “must take more account of socio-economic factors than had been proposed by the Commission, and their use cannot prejudice the rights of social partners and collective bargaining.” The Socialists are satisfied with the inclusion of this text and the Greens supported the report, although they regretted that their proposal to include surveillance of income inequalities had been rejected. In addition to the measures proposed by the Commission, some new elements are presented with Sylvie Goulard's report (ALDE, France) on the effective enforcement of budgetary surveillance in the euro area. For example, “the Commission should be entrusted with emergency intervention powers when the euro is put at risk”. 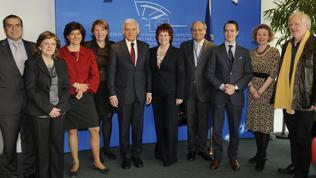 The lawmakers also call the Commission “to table reports by the end of this year on establishing a system of common issuance of European sovereign bonds and establishing a European Monetary Fund under EU rules.” “Eurobonds will not only act as an incentive towards a virtuous debt position, but would strengthen the euro as a truly global currency”, Sylvie Goulard argued. Now the ball is in the hands of the Hungarian Presidency of the EU, which must show maximum flexibility to reach a compromise between the European Parliament and the Council (the Member States) on the contentious issues. 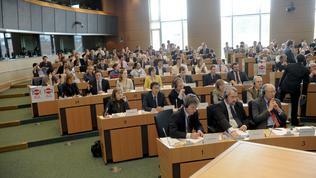 If negotiations end in time, the package should enter the EP plenary in June. The ultimate goal is the new regulations to be finally approved by the summer.